Chakras are energy centers at the level of the endocrine glands, which control the distribution of energy around the body, connecting the physical body and cosmic energy passing through aura (aura - the ethereal field that surrounds objects and living beings). Every chakra is linked to a particular element, color, gemstone, tone and various stages of spiritual consciousness. The state of each chakra reflects the health of a particular area of our body. It also reflects our psychological, emotional and spiritual well-being. 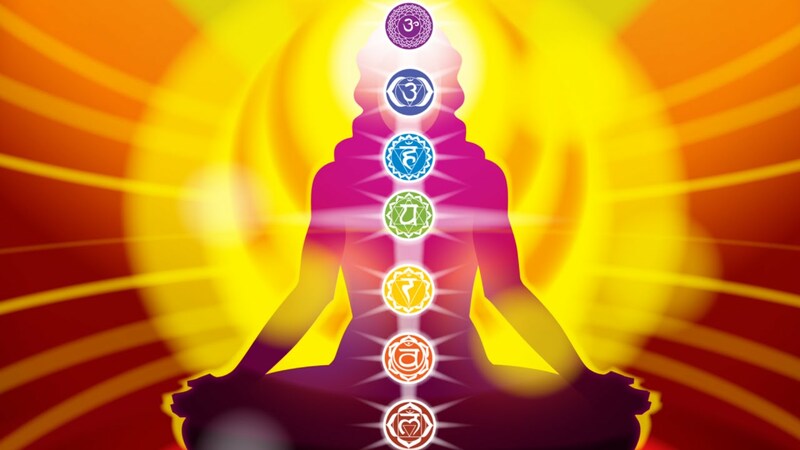 The generally accepted number of major chakras is twelve and there are many more of the minor chakras in our body. Affirmation: I am safe. I trust in the natural flow of life. I trust that everything I need will come in the right time and the right place. I am secure and grounded in the physical form and give thanks to Mother Earth for the nourishment, healing and stability. I am very centered. I am here & now. I live the present. Emotional issues: Survival issues such as financial independence, money, food. Imbalances: Anemia, fatigue, lower back pain, sciatica, depression. Frequent colds or cold hands and cold feet. Constipation, corpulence. Represents our connection and ability to accept others and new experiences, wanting to belong to a group & being able to relate to others. It is concerned with the pleasures in life. Affirmation: I am a wonderful being. I feel worthy to have joyful and happy life. I express my sexuality fully and freely in all I do. I honor the union of the masculine and feminine within me and others. I give and receive freely from the wellspring of life. I am creative and use my ability daily to create beautiful life. Imbalances: Eating disorders. Alcohol and drug abuse. Depression. Low back pain. Asthma or allergies. Candida & yeast infections. Urinary problems. Sensuality issues as well as impotency and frigidity. Problems with the kidneys, the bladder. Represents our ability to be confident and in-control of our lives. Affirmations: I am at peace with myself and my surroundings. I freely express my identity. I see the differences in others as unique expression that contribute more color and frequency to the world. I am full of joy. I am enjoying myself and my life. I wake up every morning with a joy and amazement for another day. Emotional issues: Self-worth, self-confidence, self-esteem, power. Imbalances: Digestive problems, ulcers, diabetes, hypoglycemia, constipation. Nervousness, toxicity, parasites, colitis, poor memory. Diabetes, stomach disorders. Represents our ability to love. Unconditional love, compassion, free will of the self. Affirmation: I am motivated by selflessness. I feel love and compassion for myself & other beings. I love people and people love me. I have the willingness to transform pain and suffering in others with the knowledge that, as I do, I transform pain and suffering within me. I have the courage to love unconditionally - myself and others. Imbalances: Heart and breathing disorders. Heart and breast cancer. Chest pain.. Passivity. Immune system problems. Muscular tension. High blood pressure. Represents our ability to communicate. Creativity, singing, speaking, inner hearing. Affirmation: I am free to express my creativity with unrestricted enthusiasm and joy. I give voice to my feelings and communicate with clarity and openness. I am a unique being. My opinions are of great value, and I share them fearlessly. I am imaginative and creative in all I do. Imbalances: Thyroid imbalances, swollen glands. Fevers and flu. Infections. Mouth, jaw, tongue, neck and shoulders problems. Hormonal disorders such as PMS, mood swings, bloating and menopause. Hyperactivity. Represents our ability to focus on and see the big picture. Affirmation: I create my own reality. I develop my inner senses. I trust my intuition. I trust my inner guide. I am open to new ideas and spiritual concepts. My intellectual mind recognizes my intuitive perception. I develop daily my ability to see, feel, know even more that today. Emotional issues: Intuition, imagination, wisdom, ability to think and make decisions, clairvoyance, introspection. Imbalances: Thyroid imbalances, swollen glands. Fevers and flu. Infections. Mouth, jaw, tongue, neck and shoulders problems. Hyperactivity. Learning disabilities, co-ordination problems, sleep disorders, visual problems, headaches. Affirmation: I feel the connection with Divine. I release attachment, recognizing that it is the source of all suffering. I experience union with the universal consciousness and merge with the oneness of all creation. Everyone & everything, is perfect, just the way it is. I am content. Imbalances: Headaches. Photosensitivity. Mental illness. Neuralgia. Senility. Right/left brain disorders and coordination problems. Epilepsy. Varicose veins and blood vessel problems. Skin Rashes. Spiritual or mental confusion, depression, apathy. May that be a beautiful experience for you and may the energy flow in you bringing you joy, happiness, health, love.